My hair is the bane of my life. I shouldn't really complain about having thick hair - and a lot of it! - but I simply loathe washing and styling my mane because it just takes me ages. I literally have to schedule it in my week, because it means that I have to get up at least an hour earlier than my usual time. So for me it's important to use products that work and keep my hair in good condition for days. The better the product, the longer I can go without washing and styling my mane. Here are some of my favourite cruelty-free and vegan shampoos, conditioners and hair serums for all hair types: normal, dry, fine, greasy and sensitive. 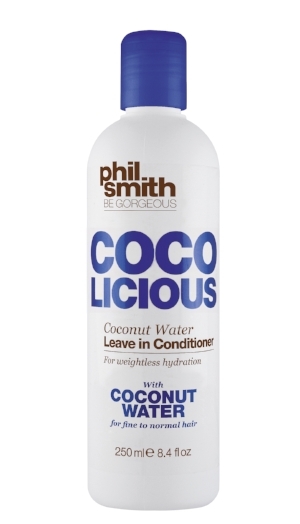 Phil Smith Be Gorgeous haircare range is cruelty-free and leaping bunny certified and the Coco-Licious range is also vegan. This shampoo with coconut water works brilliantly on fine and normal hair, cleaning it deeply whilst moisturising it without weighing down. The range is available online and at Sainsburys. Those with fine hair often shy away from using conditioner, in particular the leave in kind as there's an assumption that the product will weigh down hair. Not this one. This deliciously scented conditioner is fantastic at providing weightless hydration and works well on normal hair too. Faith in Nature is natural, organic, vegan and affordable too. The Lavender and Geranium Shampoo and Conditioner are brilliant every day haircare products for normal and dry hair. They clean deeply and leave your hair feeling soft and looking shiny and the 100% natural floral scent is lovely and delicate. A little pricier than many conditioners, but worth every penny. This treatment works brilliantly on dry and frizzy hair as, just like the name says, it deeply conditions it, leaving it soft and tangle free. Hair becomes manageable and stays hydrated for days, and the brand is organic and vegan. Carina Organics also do an unscented version for those with sensitive scalp. 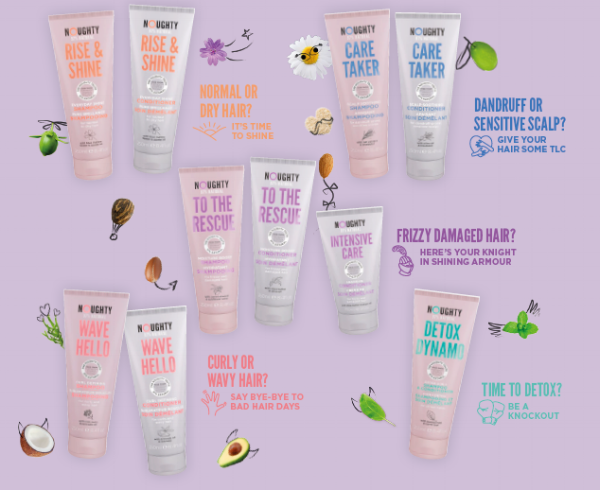 Stocked in Superdrug and also available online, Noughty Haircare is another great vegan and cruelty free brand. They have a big range of products for all hair types, including dry, dull, greasy, fine, curly and sensitive. Rise & Shine is great at adding luminosity and gloss, To The Rescue is ideal for those with frizzy and damaged hair and Detox Dynamo 2-in1 works well for those with fine and greasy hair. 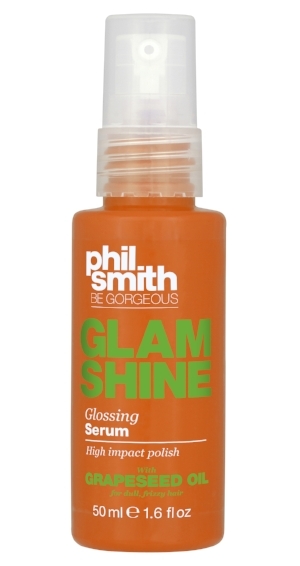 Finding a good, vegan hair serum is quite tricky, but not one to be defeated I searched high and low until I found this brilliant one by Phil Smith Be Gorgeous. Created for dry and frizzy hair, this serum adds shine and softness, making it hair manageable, tangle free and easy to style. It's also very affordable at £2.50 and widely available online and at Sainsburys. The bottle is also ideal for travelling: small and no leakage, thanks to the safe nozzle.